After four separate people approached me with this question (or one similar to it) for their small business website I decided the quick answer would make a good blog post. Have you ever asked any of these questions? Where can I get a cheap website? Do I need a website if my business is really small? What can I do if I can’t afford a website? For scenario’s sake let’s say you have a small, work-from-home business where you make and sell your own jewelry. If this business is something you can’t devote a significant amount of time to, or if it’s more of a hobby, it’s likely you won’t have a considerable amount of net income. With that limited amount of money coming in, you probably can’t justify spending money to have your website professionally designed, hosted and maintained. But that doesn’t mean you can’t have a website. If you are just starting out and need something simple just to establish an online presence, there are free templates available that are relatively easy to use and can help you get something up quickly. Wix and Weebly are two of the more popular free website builders. You can also start with an active social media strategy. Today, using social media is a must if you are going to stay relevant to your customers. Facebook now has the capability to be an online store if you have a business page. That means if your inventory is relatively small, using Facebook might be a more cost-effective route for you rather than paying for an online shopping cart. As you reach more customers, however, getting a professional website design might make a big difference for your business. Why would I need a professionally designed website? As your business becomes more established, you don’t just need a website – you need a well-thought-out, strategically designed website. If you want to grow your small business, your website has to be accessible, easy to use and memorable. These requirements usually aren’t achievable with a template or a Do-It-Yourself site. 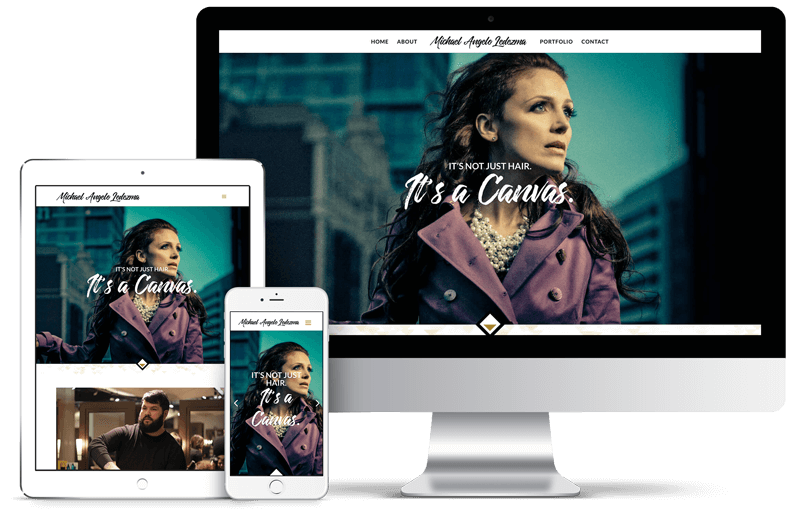 When you invest in a professional website designer you’ll increase your chances of getting new customers and better satisfy the ones you already have. If you have a solid message and deliver it through a strategically designed website, you will add significant value to your business. Your priority should be maintaining your business, not learning how to create websites. If you want to differentiate yourself from the competition, having a professional design your website is the way to go. Your priority should be maintaining your business, not learning how to create websites. And if you stick with a template as you grow, your site will look just like every other one out there. It will blend in with the crowd. Your business is original, so you need an original website. View the example below to see the different impression each version of the site gives. Before with a template and after with a custom design. Professional design can be the difference between your potential customers turning to you vs your competition. Thanks for reading! I’ll elaborate on this topic and go into more detail on small business branding in my ebook that is currently in the works. In the meantime, let me know how I can help. I’m offering free home page audits for the small business owner. Fill out the form below and you’ll get honest feedback on where your site needs to be improved. 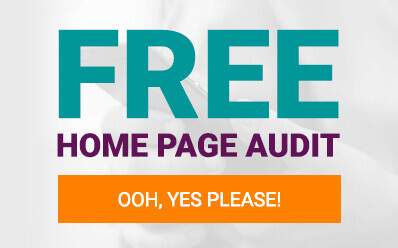 Get a FREE home page audit! P.S. Want to see more examples of professionally designed sites? View the website design portfolio.